The RollerGlam bangle features a unique precision-crafted roller & glamorous design. 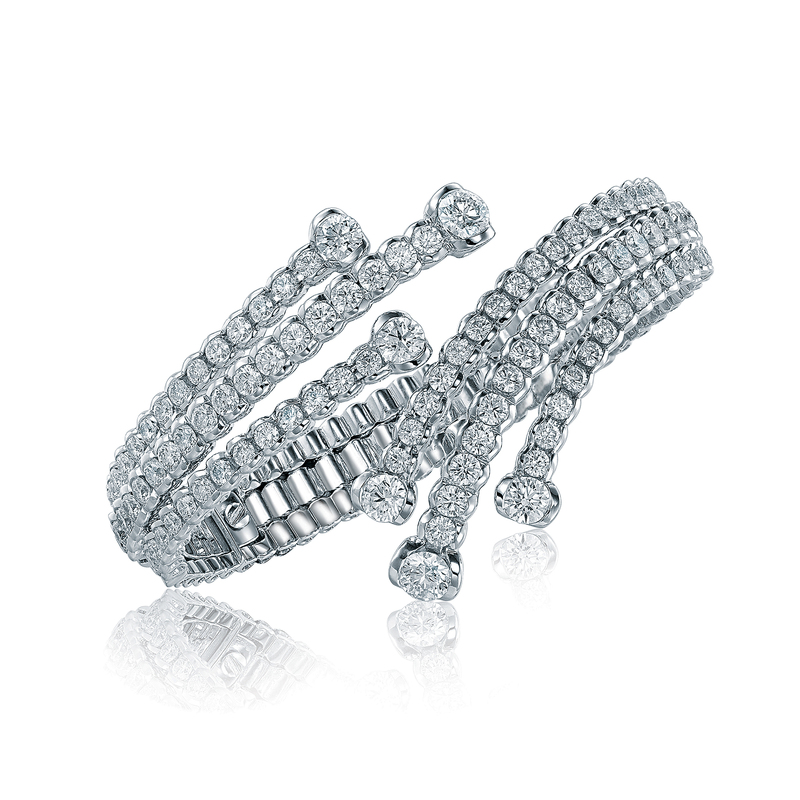 The bangle is a dazzling creation made from linking a multitude of rollers, each encrusted with a Lazare Diamond. A larger Lazare centerpiece is set at each end of the bangles producing a spectacular effect much like a blazing comet streaking across the night sky. Where function meets fashion, the RollerGlam bangle is the perfect complement to the cutting-edge designs from the world of wearable technology.